I have been playing Battlefield 4 for a while but forgot to put up the profile for it because it has been a busy year. Since I have been putting up a bunch of profiles I figured I should try to get all of them up at once because once work starts again I am not sure when I will have time. I am still not sure how much this game adds compared to Battlefield 3, but eventually I buy the game when it gets cheap enough. 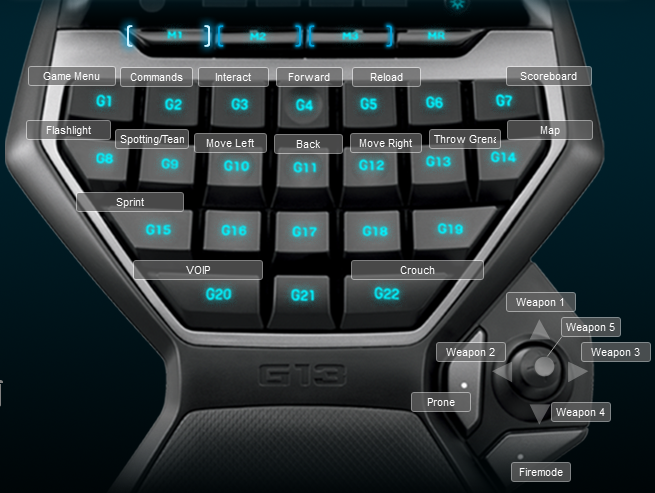 I created a Logitech G13 profile because I always dislike the premade ones. For Battlefield you also need an M2 profile in my opinion for vehicles because the default controls just don’t work. 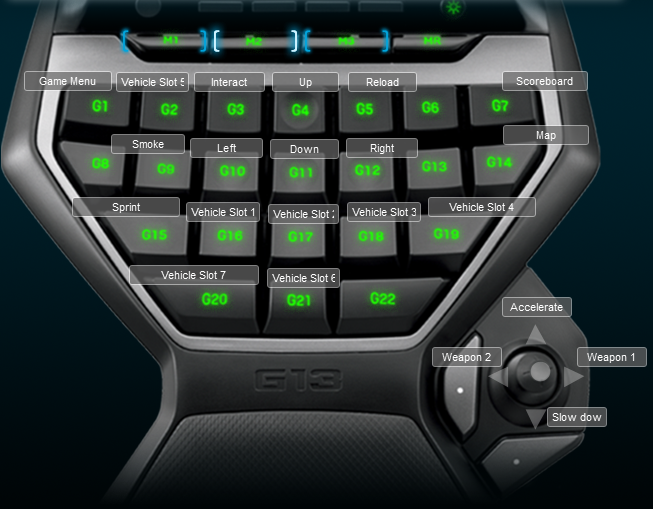 Ideally i would like to switch to a controller when I enter a vehicle, but I haven’t gotten this to work yet. The mouse is my typical FPS layout with melee and jump on my extra 2 mouse buttons. Below is the image of the keyboard m1 and m2 layouts so you can see how I have set it up before you download the profile.